The Rowmark Ski Academy U18-21 team traveled to Jackson, Wyoming, for the Western Region FIS Elite races last week and came home with a long list of great results. Madison Ostergren was second for U18s (sixth overall) in the first giant slalom of the week and was atop of the podium in the second slalom. 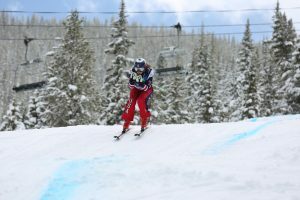 Park City’s Lexi Calcagni was seventh overall in the first GS and fourth overall in the second GS. Fellow Parkite Hannah West was third for U18s in the second slalom of the week and sixth for U18s in the second GS. Park City’s Megan Dingman took first for U18s in that second GS race (10th overall).